With hypnotherapy being our primary focus we are referring our Reiki and Cranio Sacral inquiries and clients to Debra Collins of Restored Essence. 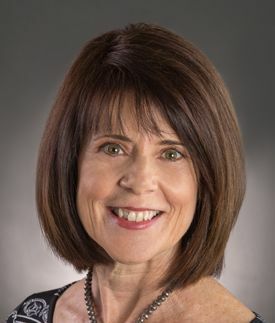 Debra is a highly skilled and experienced practitioner. Debra's services include Reiki training and continuing education (CE) workshops. Her practice is located in Raleigh, NC. Please visit the Restored Essence website for more information. We still facilitate our Hypnotic Chakra Balancing sessions. Please click the "Our Program" link above for more information on the benefits of balancing your Chakras under hypnosis. Many clients find the combination of hypnosis and Reiki to be extremely beneficial to the overall healing process. Ground breaking scientific studies have confirmed what many Reiki practitioners and clients have known for a very long time that Reiki really works and an energy transfer takes place during a Reiki session. 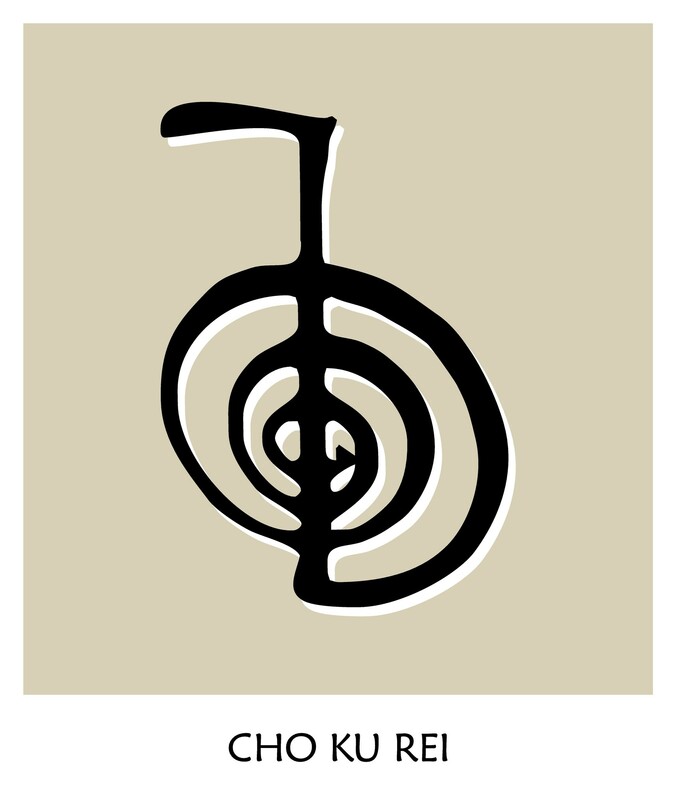 Reiki (pronounced Ray-key) is a Japanese name consisting of two words Rei and Ki meaning spiritually guided life energy (commonly known as Universal Life Energy), an energy which animates us all and is found all around us. Reiki is a form of spiritual healing using the "universal life energy" channeled through the practitioner to the recipient. Reiki helps to harmonize mind, body and spirit! Reiki connects you with the ultimate source of healing at all levels - call it God, higher power, creator or spirit. If you desire peace, consciousness, healing or enlightenment, then Reiki is for you. Many clients desire to balance their Chakras or seven energy centers; and for very good reason; balancing your Chakras is important to bring an overall sense of harmony and well being to your life and Reiki is an excellent therapeutic method to help with this balancing. Chakras are energy crossroads, linking the physical body with the spiritual through a energy channels down the body (see the illustration). 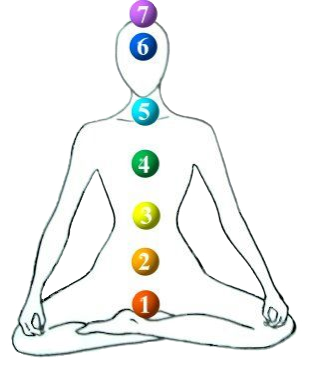 Each of the 7 Chakras has different properties and corresponds to a different mantra, color, stone and shape. We also offer a hypnosis session specifically designed to balance your Chakra energy centers. Please see "Our Program" for more information on our Hypnotic Chakra Balancing sessions. Tell me more about Reiki! The word Reiki is made of two Japanese words - Rei which means "God's Wisdom or the Higher Power" and Ki which is "life force energy". Reiki is actually "spiritually guided life force energy." A treatment feels like a wonderful glowing radiance that flows through and around you. Reiki flows through the practitioner’s palms at different rates of speed, depending on various factors such as the extent of the client's illness, degree of energy blockage, the client’s readiness to accept change, and so on. Reiki treats the whole person including body, emotions, mind and spirit creating many beneficial effects that include relaxation and feelings of peace, security and well-being. During the Reiki session, the universal life energy is correcting and balancing your energy centers (Chakras) and adjusting your baseline energy levels. Over time, these adjustments will create positive shifts within you and foster wellness. .
Reiki is a simple, natural and safe method of spiritual healing and self-improvement that everyone can use. It has been effective in helping virtually every known illness and malady and always creates a beneficial effect. It also works in conjunction with all other medical or therapeutic techniques to promote wellness. Reiki is not a religion, nor is it based on the acceptance of any religious doctrine. Having a belief system is not a requirement for Reiki to work. Reiki does not infringe on anyone’s right to believe what he or she wishes. However, the Reiki principles are spiritual in nature and do encourage spiritual empowerment and growth. Reiki is always beneficial, always positive and always healing. Although Reiki benefits can be realized in a single session, long term benefits are achieved through an on-going application by a trained and attuned Reiki practitioner. For more information please contact Debra Collins at 910-200-9442 or email debra@restoredessence.net. Have more questions? Contact Imagine Hypnotics at 919-745-1225 or email us at imaginehypnotics@imaginehypnotics.com. Mike Williams is attuned to the Usui System of Natural Healing and is a Reiki Master. At Imagine Hypnotics our clients receive the personal attention they deserve.